When the Big Apple no longer felt big enough, Dave Prager and his wife Jenny Steeves moved to a city of sixteen million people—and, seemingly, twice that many horns honking at once. Call them the New Delhi Yankees. 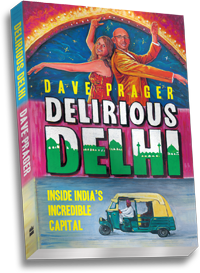 In Delirious Delhi (June 2013, Arcade Publishing, an imprint of Skyhorse) Dave takes readers through India’s capital as he and Jenny experienced it: isolated, overwhelmed, and loving every minute of it. 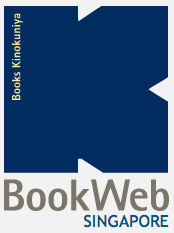 This book’s 416 pages (including 24 pages of color photos) offer hilarious anecdotes, astute observations, and attempted comprehension about what they encountered, ate, and stared at while stuck in traffic in this frantically expanding world capital. And in their telling, Delhi is truly delirious in every definition of the word: it’s ecstatic, hallucinatory, mind-boggling, feverish, and vastly energizing—all at the same time. Organized into twelve thematic chapters (like worklife, transportation, and food), Delirious Delhi is perfect for expats and locals alike: it helps newcomers orient themselves to this intense and amazing city, and it lets veterans see it through eyes that have never seen anything like it before.